take a change in the unknown. thinking of what could've been. 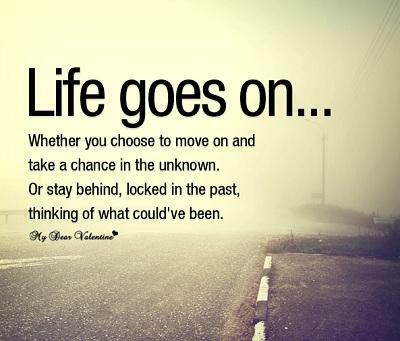 Yes, no matter what, life must go on.